Not being able to stand it any longer, I went to the park with Maurice. I really wanted to revisit some voodoo that you can do with the Deus to gain ludicrous depth. Not to beat the proverbial dead horse but the one thing about upper level detectors is that you can continue to find new ways to extend their capabilities, in essence, getting a new detector. Be that as it may, I was at the old hunted-out park (is there any other kind anywhere in the world?) testing this voodoo I spoke of earlier when I got a signal where I knew there were none left. So I went for it. 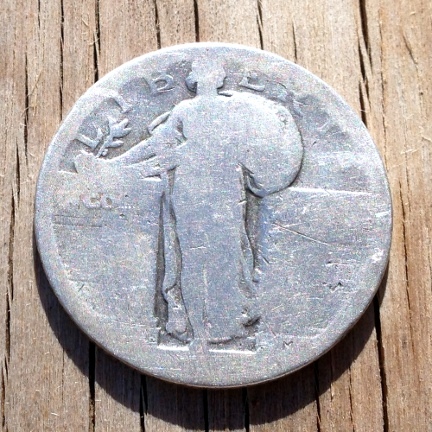 The target turned out to be a metal object slightly larger than a U.S. quarter. Sweet. Then, not two feet away, I again got a signal. Both of the targets were around the 9 inch mark, which I call deepish because to me, deep starts at 10 inches. 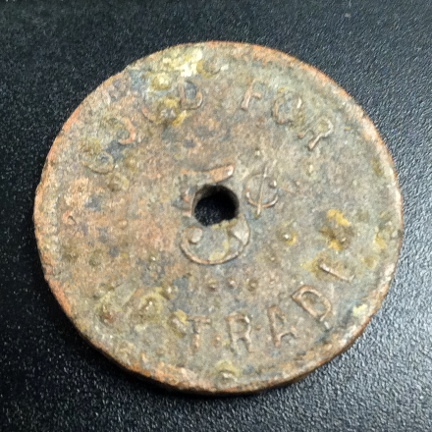 The first target appears to be the front of a pin from the first commercial corn cob pipe factory in the United States, the Missouri Meerschaum Cob Pipe Company. I tried and tried to date this particular design with no success. The company is still in business today. The second target is the third M.K. 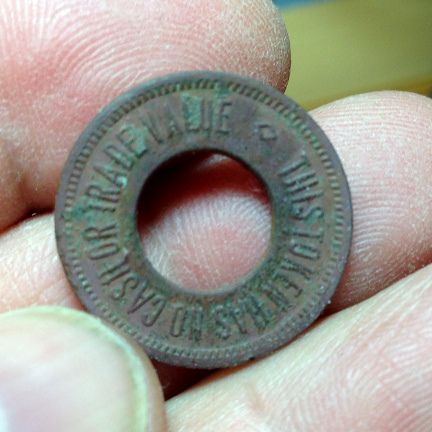 token I have found at this very same spot. 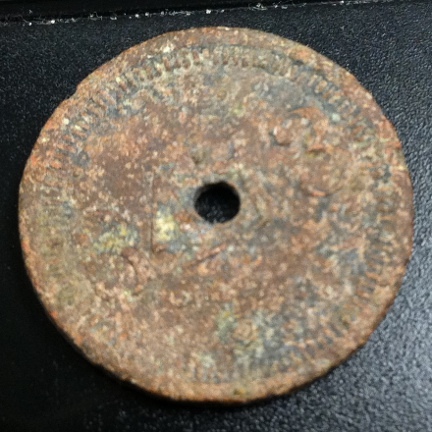 Equally, I have no information on this token. The best I can do is guess that it is a reproduction of the Mein Kampf tokens that Hitler’s supporters would make in Germany out of bus tokens back when Hitler was in jail. Above is a picture of one of the tokens from the Berlin Omnibus system. The M.K. 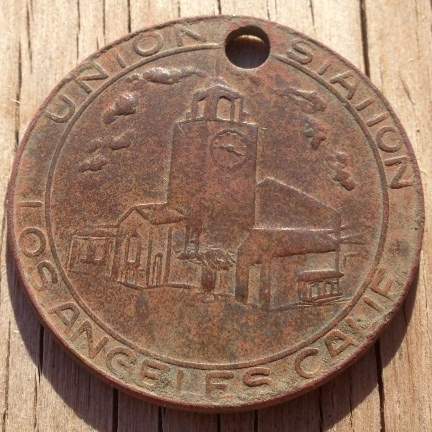 would be stamped on the reverse of the token. 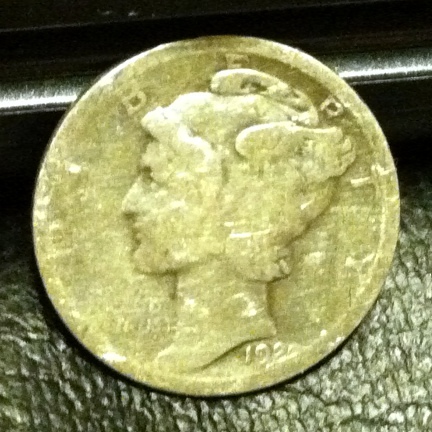 Although not dated, this particular design was released in 1917. Although I could be wrong, the idea is not too far fetched. There was support for the Nazi party in the U.S. until the bombing of Pearl Harbor. In my beloved city, the party even had a headquarters. I am very excited for this new hunting strategy. I am not even running the latest version of the Deus software, which many report, adds depth to the Deus. I am updating as soon as time permits and re-hunt some promising spots around our fair city. 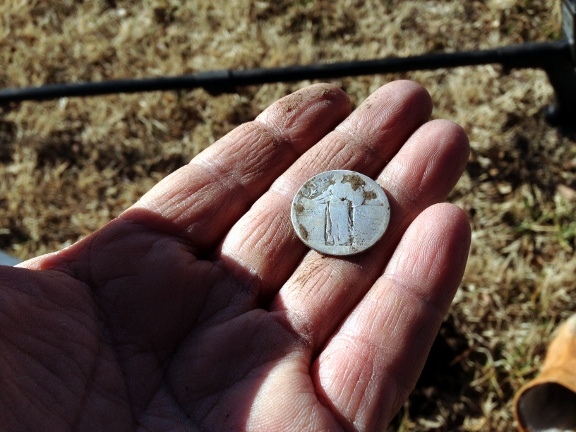 Today was beautiful so I went out in search of the last silver coin of 2013. 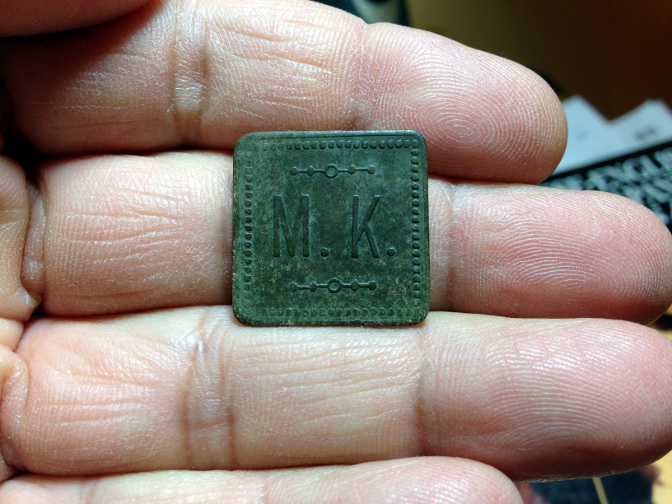 I did not find a silver coin but I found yet another M.K. token. A quick Google search revealed that M.K. (Mein Kempf) tokens were created by the followers of Adolf Hitler while he sat in jail in Germany before he became the supreme German leader. His followers would take public transportation tokens and stamp M.K. 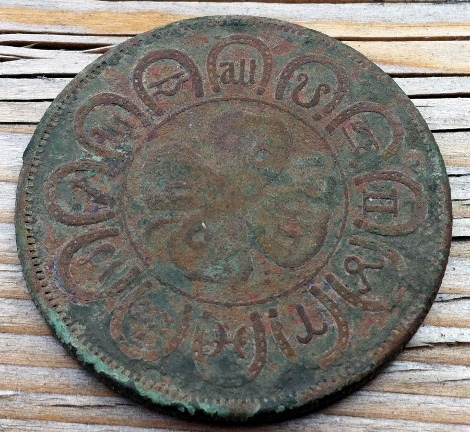 on the reverse. 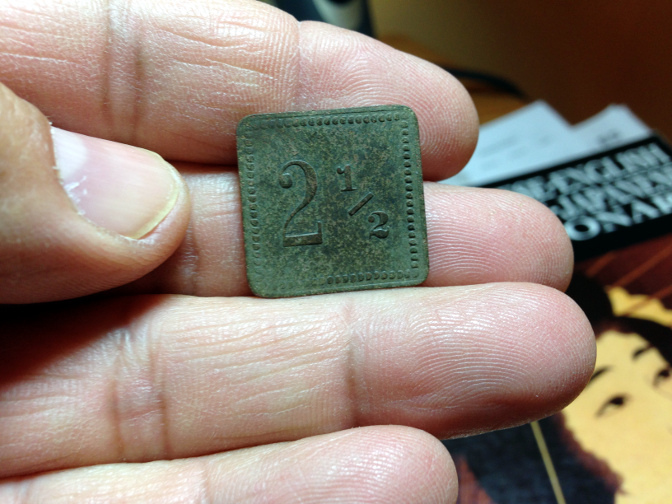 The token I found seems to be a machine made replica of those tokens. I have found nothing on these on the Net but my guess is that the American Nazis of the 30’s created them in homage to their cause in Germany. Interestingly, as a young man in Wichita, while riding the bus, I overheard an old man tell someone else about the headquarters of the Nazi Party in our fair city. That was until Pearl Harbor, then the Nazis suddenly disappeared from public life. The building still stands, albeit abandoned, and for the longest time it was a church. Every time I drive by I want to detect the small sidewalk grass strip. Maybe some day they will tear up the parking lot. Wouldn’t that be an interesting hunt! As I said, this is the second one I’ve found. This one was about 7 inches down. 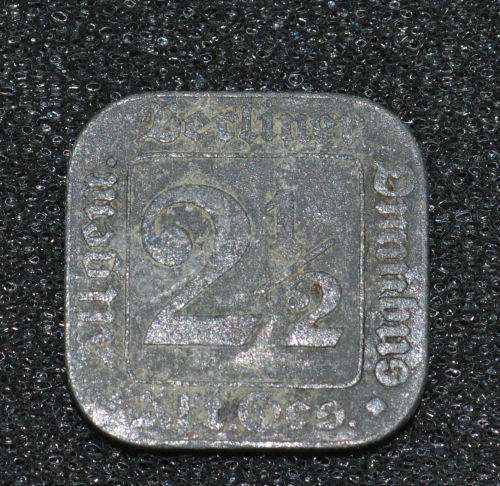 The 2 1/2 refers to the value of the original tokens; 2 1/2 pfennig. At lunch today, Maurice and I stopped at Riverside park for a bit of hunting. 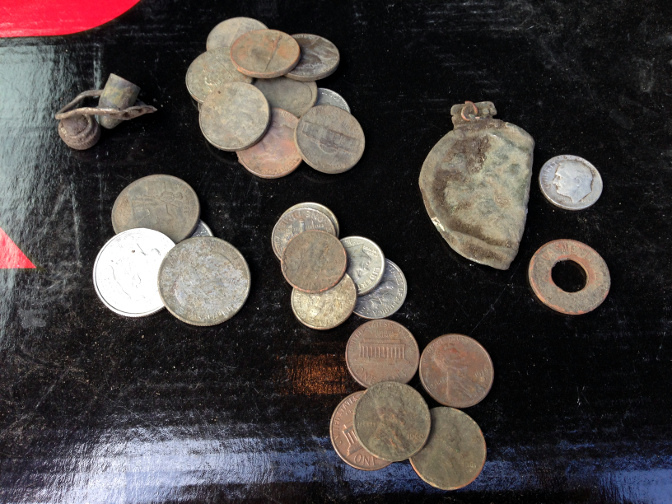 I only had about 20 minutes to hunt and I wanted to look for old coins. 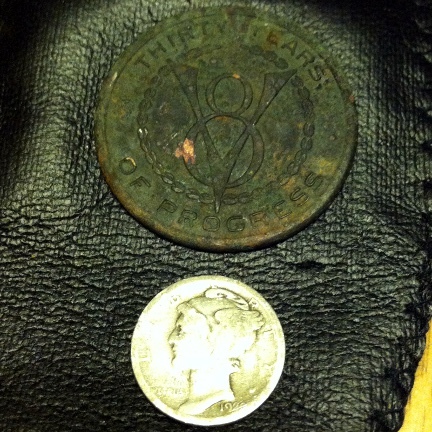 The token on the left is a Goetz telephone token used in the Chicago area only. These were made from 1907 to 1944 by a company named Yale Slot and Slug Company. 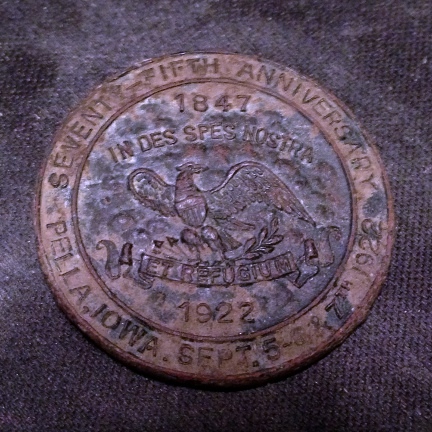 The company was owned by a druggist named Harry Goetz and he made these tokens until they become illegal in 1944 (don’t know why they became illegal). The token reads “Y. S. & S Co. Y40” the other side reads: “USA Y40”. I believe the Y40 refers to the year 1940. There are 200 or so designs of this token and many of them have a year on them. 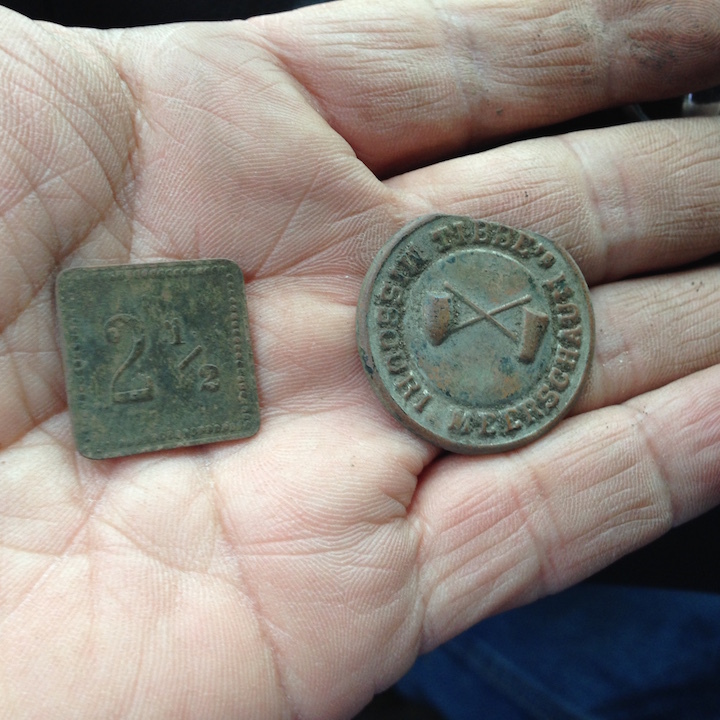 The token on the right is less interesting and I guess is from the same time period. 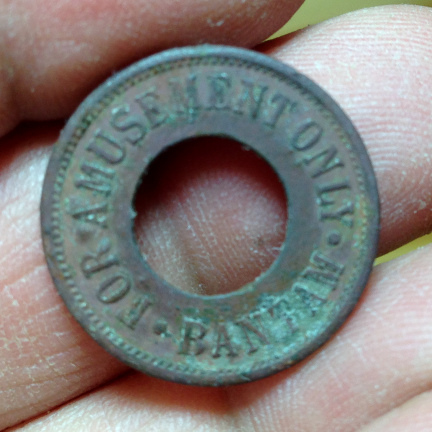 The other side of this token reads “Good for Amusement Only”. 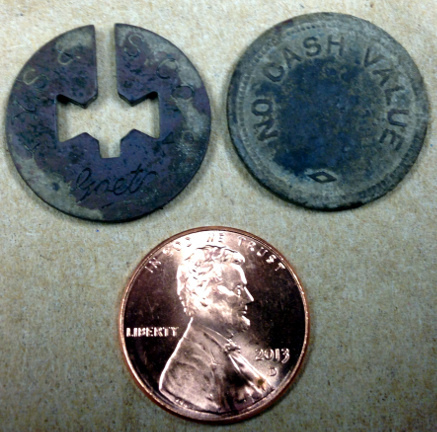 No coins today but the tokens are kind of cool. 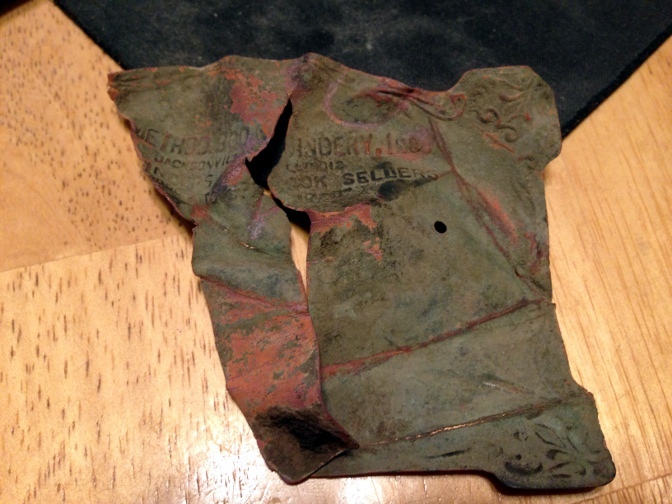 I met up with a Stevouke and Patton from the Friendly Metal Detecting Forum and we hunted a 100 year plus old school that shut down earlier this year. I had hunted this school before but not since I bought my XP Deus metal detector. 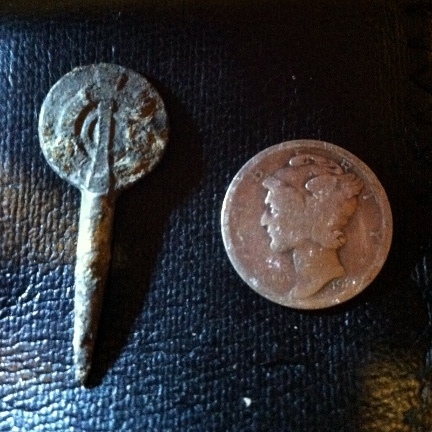 It took about one hour before I found my first significant coin; a 1910 wheat cent. Following KansasDave’s (another FMDF member) advice, I began a tight spiral around the spot where I found this wheat and sure enough, about a foot away, I got another good signal. 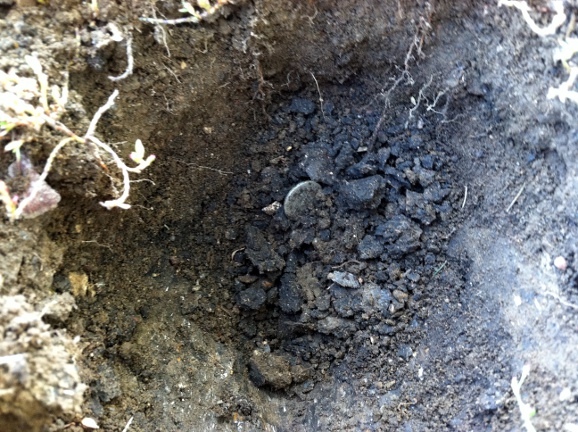 I dug a hole and just about the 7 inch mark, I pulled something I knew was silver. Oh, what a lovely sight! 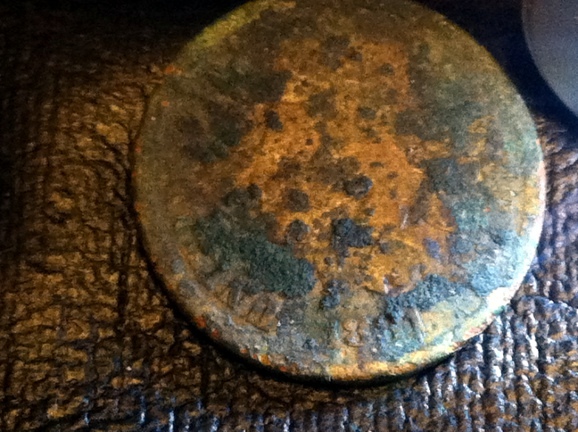 I didn’t want to pull it out until the guys saw it because I thought it may be a Barber coin or maybe even a Seated coin. 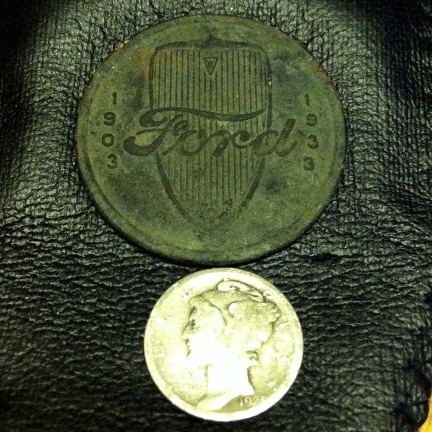 Steveouke’s son, a favorite hunting buddy of mine, couldn’t resist anymore and pulled the 1920 Mercury out. 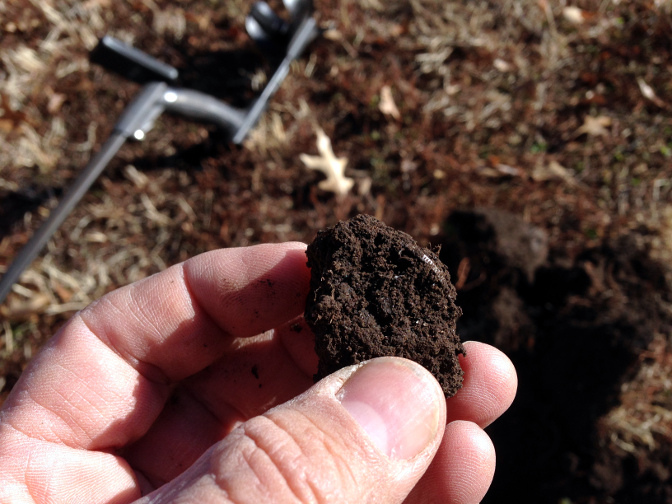 Later, I managed to find an Indian Head cent. 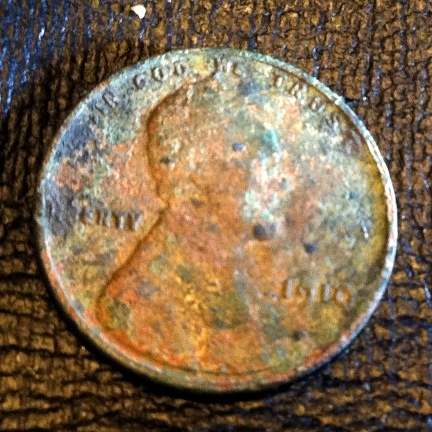 It had a pretty heavy cover of crud but after some tender brushing, I was able to uncover the date: 1881; my oldest coin to date. The last thing I found was some kind of pin. The logo looks familiar but I can’t place it. It was a fun hunt and the XP Deus didn’t disappoint. I know this school has been hit super hard before and after it closed, and yet, look at all the goodies. I plan on returning as often as I can to it. 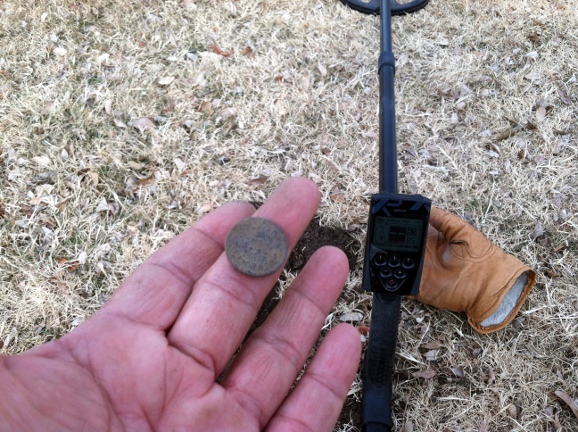 I met a couple of guys from the Friendly Metal Detecting Forum this morning to metal detect at an old city park. 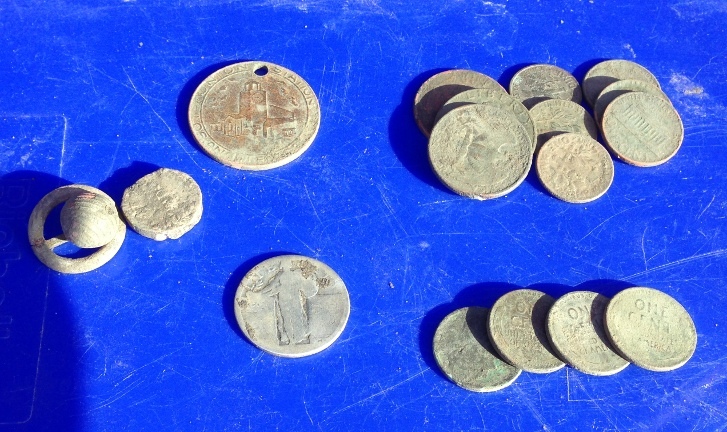 These two guys use Etracs and they have been tearing this park apart, finding silver coin after silver coin, including a very cool 1891 Seated Liberty dime last weekend. I of course, brought Maurice, my XP Deus metal detector. After a couple of hours, none of us had found very much. 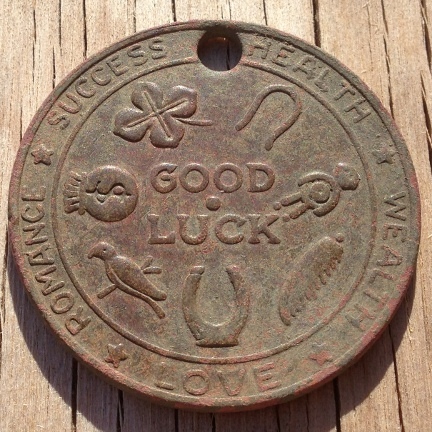 Redd found a 1910 wheat with no mint mark and I found this very cool Good Luck token. World Fair, St. Louis Missouri! 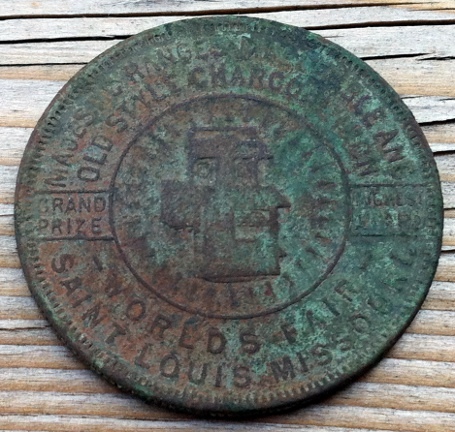 The token is just about the size of an American half-dollar coin and it references the Worlds Fair in St. Louis that took place in 1904. 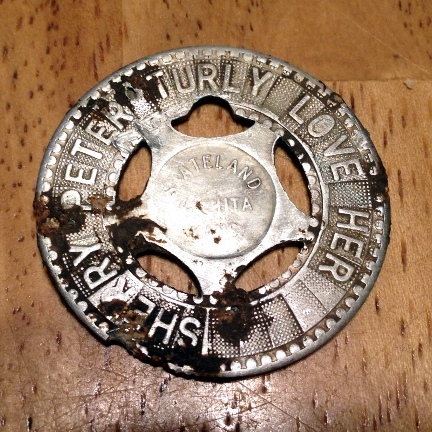 So either this token was given out at the fair or it was made after the fair and the token advertises that their stoves won the grand prize at the Worlds Fair. Either way, it is my oldest good luck token to date. The middle has a four-leaf clover and the words Good Luck. 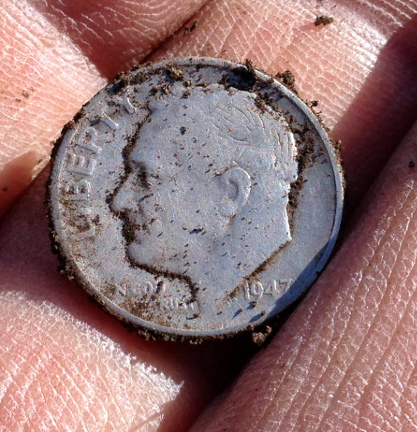 Since KansasDave found that very cool Seated dime, I intend to hunt this park quite a bit this Fall.